And so, every two or three batches, I end up asking the SheppyBrew Beer Model what she wants me to brew next. Annoyingly, her answer is usually "something that I will like". When I push her for something more precise, she will narrow it down to 5 to 7 beers that I have made before or styles that she has had at local breweries that she thinks I should try to replicate. Last time I asked her this question, after the obligatory "something that I will like" answer, she came up with her usual huge list. One of the possibilities she listed was "Apricot Wheat". I took that to mean Apricot Lovin' American Wheat. I knew it had been awhile since I've brewed that, but it shocked me (shocked) that I brewed it last back in early 2012. It has been over 3 and a half years! It seemed about time that I brew this beer again. So, I did on Sunday. Not last Sunday. The Sunday before last Sunday. Not sure what is up with me lately, but I'm really behind on blog posts. But, that is not important right now. Just as quick review ... Apricot Lovin' American Wheat is basically the world-famous Summer Lovin' American Wheat recipe minus the Orange Zest and Coriander Seed. 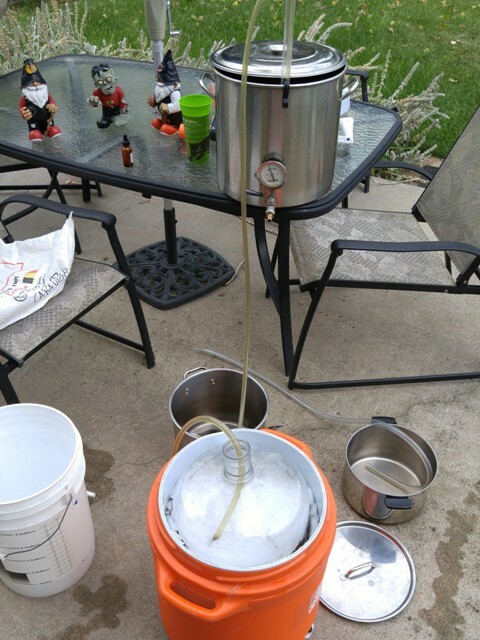 The beer gets brewed and then racked to secondary on 3 pounds of Apricot Puree and sits there for a few days. Then, it gets kegged with some Apricot flavoring. The trick is to get enough Apricot in the flavor and aroma to know it is there without making it overpowering. Since my last batch turned out so well, I think I know how much that is. So ..... 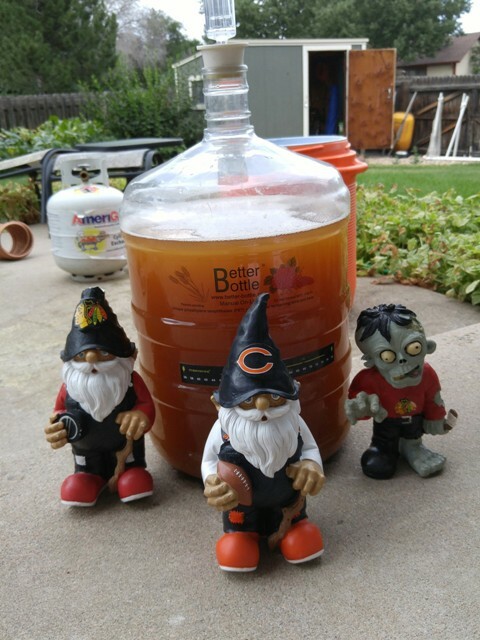 I brewed the base beer recipe. I had a couple of challenges on brew day, but nothing I couldn't overcome. I fermented the base beer. I racked the base onto Apricot Puree. 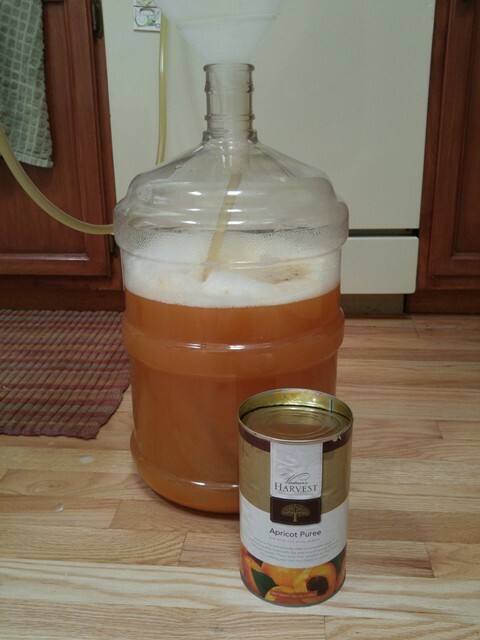 I expect that within the next couple days, I will keg the beer and add more Apricot Flavoring while kegging. This should be ready to drink from the keggerator by Labor Day weekend. It will be great. The base beer was fantastic, and Apricots make a really nice fruit beer. 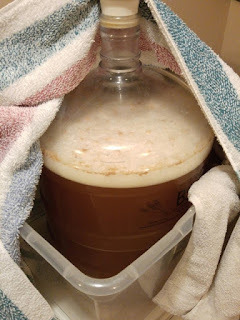 Most importantly, my wife will be glad to have it on tap, and I should be able to make a couple batches in a row of beers "for me". So there we are. That is the SheppyBrew update. I have another brew day this coming weekend. I should be able to report on that sometime before the end of September. Where would one obtain apricot flavoring? Is it an extract that I could find in the baking aisle or a specialty beer ingredient or..
Well, I picked up mine at the homebrew shop. I'm pretty sure I've seen apricot extract in the grocery store next to spices and other extracts. But, I know I can get it at the homebrew shop, so that is where I picked it up. Great question, Mr. Shegogue. For the most part, the apricot does drop pretty nicely to the bottom. I do (or at least I did last time) get some tiny bits of puree in the keg. 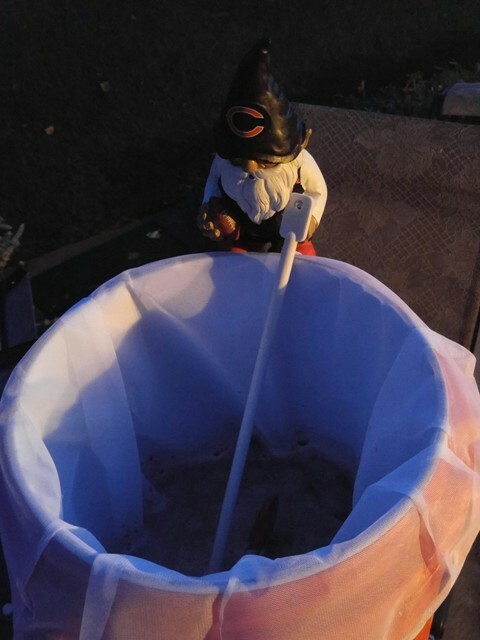 I actually have a mesh tube I can put over the bottom of the beer-out tube in the keg. This strains out (mostly) any apricot puree from making it was up the tap. I bottled some last time, and did have some fruit floaties in some of those, but not enough to be unpleasant.